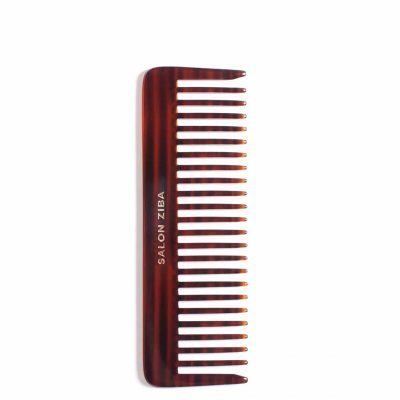 Natural boar bristle, for all hair types, conforms to the scalp, smoothes and straightens. 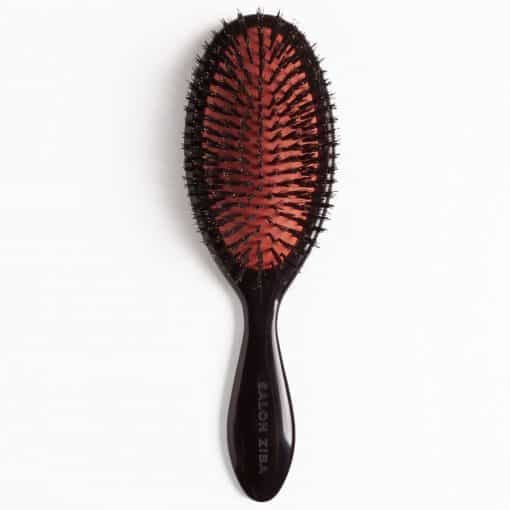 Bristles maximize penetration to the roots allowing even distribution of natural oils.Polished seamless design and gentle curves with double cushion. Rubber padding allows bristles to flow unrestricted, resulting in tangle free brushing. 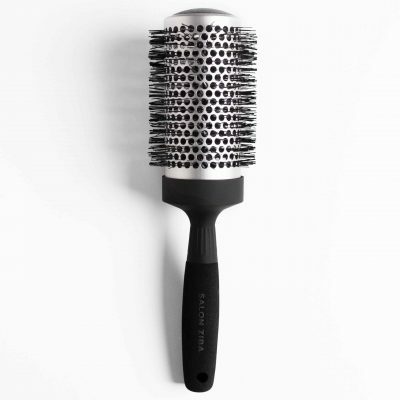 Excellent for hair extensions! 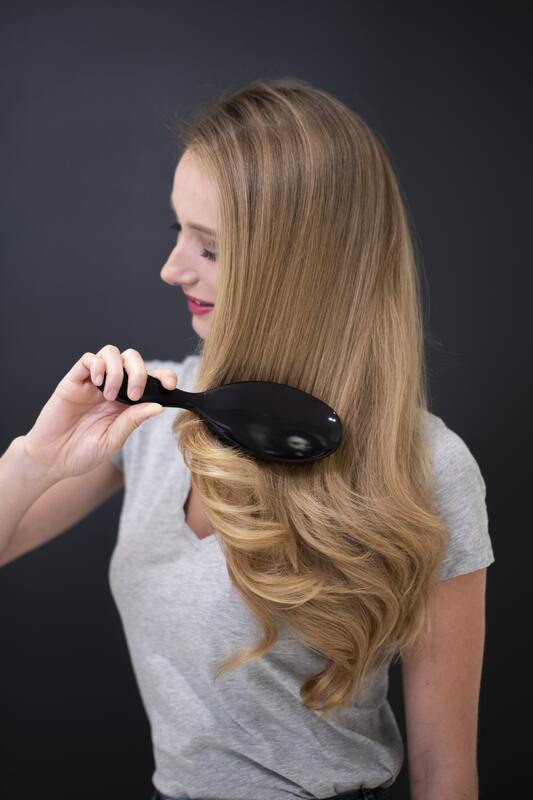 Paddle brushes are best for detangling, smoothing and reducing static. 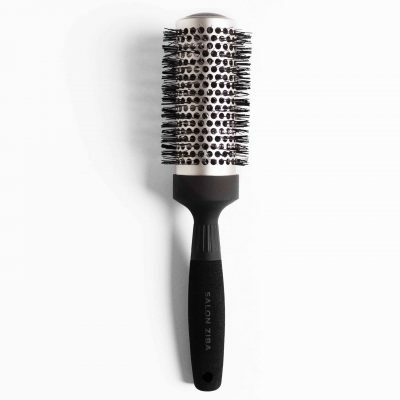 Pin bristle is best for detangling and boar or mixed bristle is best for stimulating production of natural oils in thicker hair, which condition, boost shine, and prone hair growth.